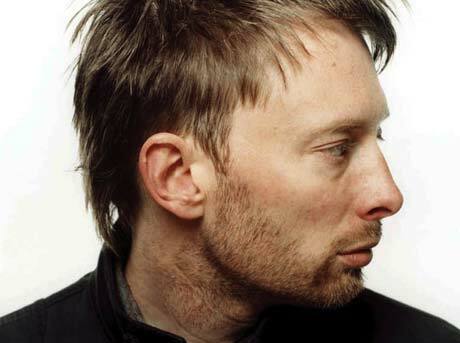 Refusing to let the Radiohead press machine slow down, it's been announced that front-man Thom Yorke will release a brand new single next month. But it's not the rumoured song he's contributing to the Twilight: New Moon soundtrack. Instead, it's the track "All for the Best", a Mark Mulcahy song that Yorke covered for the upcoming Ciao My Shining Star: The Songs of Mark Mulcahy. The track will be released on a limited seven-inch next month, and the B-side of said record will feature the Mulcahy original. So how limited is the seven-inch? According to Recordstore.co.uk, the release will be limited to 2,000 copies worldwide. Now, that might be a lot of records for a local ska band, but for a Thom Yorke seven-inch, you better pre-order fast. The "All for the Best" single will be out on September 7 while Ciao My Shining Star: The Songs of Mark Mulcahy drops on September 29. Both are due from Shout! Factory.